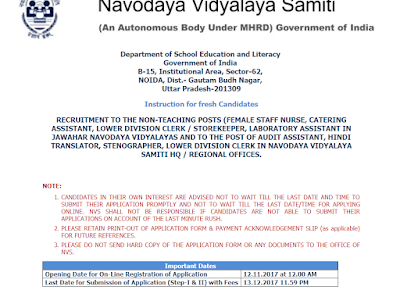 Navodaya Vidayalaya Recruitment NVS 2017 for 683 Non Teaching Satff. 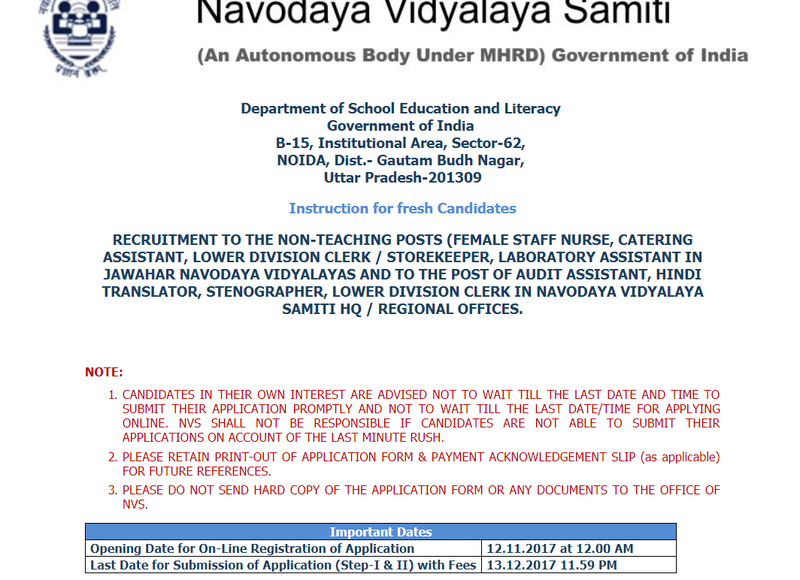 Navodaya Vidayalaya Samiti NVS Invites Online Application for non teaching staff . Those conadidates interested for above post can check vacancy details, eligibilit criteria etc. Check Official PDF for eligibility criteria. Stay Tuned for more updates on Navodaya Vidayalaya NVS and other State and central govt. Jobs.